With such a heavy focus on sustainability and eco-friendliness at the forefront of business, it should come as no surprise that cycling has made a comeback. In addition to getting a good ride in for fitness, cyclists are going as far as commuting to their places of employment on two wheels as opposed to four. And if you’re wondering where these sustainability mavens park their trusty steeds, the popularity of cycling has increase so dramatically over the years that places like this, The Bike Rack, are popping up at an incredible rate. Undoubtedly, you’re now wondering why I’m writing about commuting alternatives, and rightfully so. Yes, cycling around town as opposed to driving is a great way to get in your exercise fix while doing your part to save the environment. And if this inspires you to take up cycling, then by all means please do so. But most importantly, from a business standpoint, understanding trends and customer needs may give you the competitive advantage you’ve been searching for. Even if you work with a business that isn’t necessarily focus on the environment, that doesn’t mean that there aren’t employees there that want to do their part. So, what to do next? I’ll tell you what – appeal to their needs! Get to the heart of their passion by creating a self-promotion that really hits home. Decorate some essential cycling products with your company’s brand. Every time your customer takes a ride, they’ll think about you. Here are my eight fun and functional eco-friendly giveaways. Enjoy! We all know how hard it is to put down our smartphones, and now, the cycling gurus in your life don’t have to. They can map their rides or utilize Apps like Strava to track time, distance, and routes. 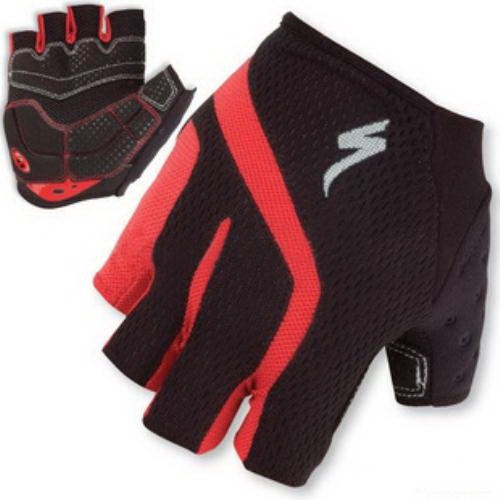 Protecting a rider’s hands while giving them comfort in their commute may be the way to their heart! Safety first! Give you customer peace of mind by offering a helmet for their rides. After all, this is a requirement for all organized rides, and yet another opportunity to show off your brand to the masses! Odometers aren’t limited to motorized vehicles! 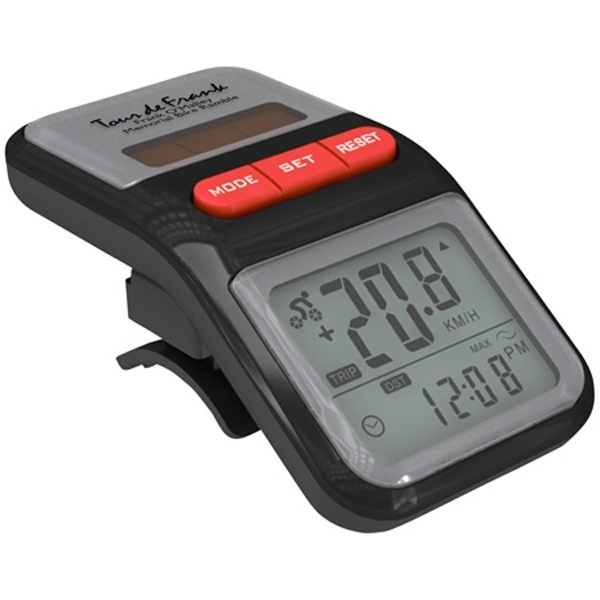 A very popular item amongst cyclists to track speed and distance, as well as time. Be your customer’s hero when things start going downhill. A bike repair kit is nice to have, and easy to store in a messenger bag. Speaking of messenger bags, this beauty from TimBuk2 is a great product not only for cycling but also for transporting life’s essentials…like an iPad! Last but certainly not least is this amazing contraption, a conference bike. Cycling alone can be boring at times, and a lot of work. Get the conversation started by inviting your customers (and their closest friends, family, and staff) for an afternoon ride!